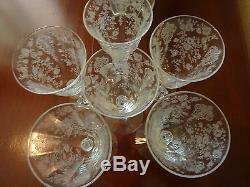 Offering a Cambridge Rose Point seven piece wine set with decanter and six cordial stems or glasses made circa 1940. 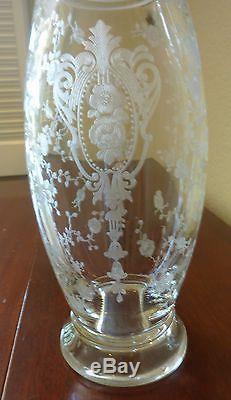 Rose Point was made by the Cambridge Glass Company between 1936 and 1953. 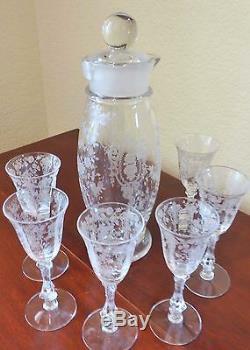 It was a popular line with many forms offered; however, the drink set here has become hard to find. The cordial stems are 5 3/4" high and 2 1/4" wide and hold two ounces. 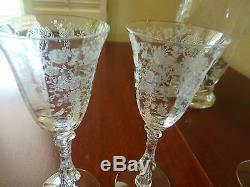 They have panel optic bowls and ornate Corinthian urn stems. 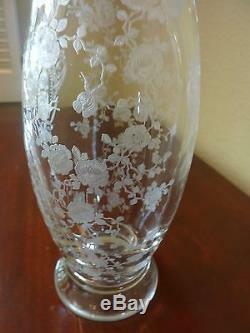 Needle etched decoration, roses and elaborate cameos. 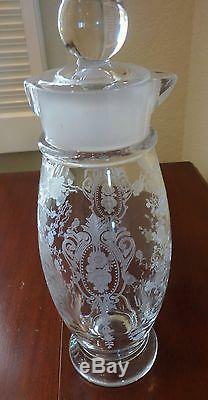 The decanter is 12" high, 4" wide and holds 34 ounces. It has simple contoured lines in a modern design. Comes with a heavy inset ball stopper lid. 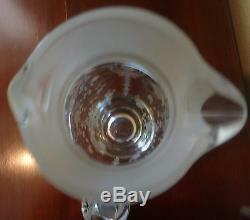 The glass is frosted around the 1 1/4 neck and stopper. 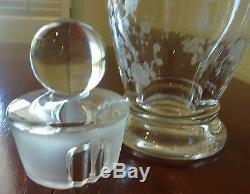 The lid is faceted on both sides to permit the pouring of liquid with ice or without. 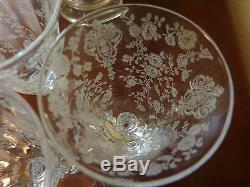 The decanter has the rose and cameo etched decor to match the stems. A rare set to please Cambridge collectors. The item "Cambridge Rose Point Wine Set Decanter 6 Cordial Glasses Elegant Vintage Crystal" is in sale since Monday, April 03, 2017. 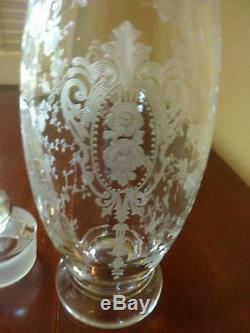 This item is in the category "Pottery & Glass\Glass\Glassware\Elegant\Mixed Items". 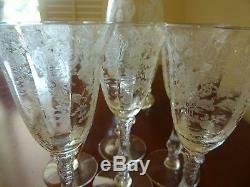 The seller is "momsfavoritethings951" and is located in Riverside, California. This item can be shipped to United States.